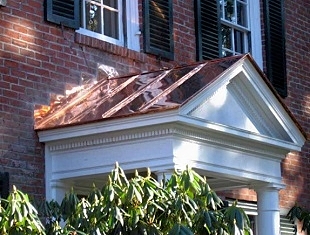 At Acadian Shore Slate Roofing slate work is not just our job it is our livelihood and most importantly our art form. From Bar Harbor and all along Coastal Maine to Camden, Rockland and Boothbay Harbor, we create roofs that are mined from the earth, over thousands of years, that are not only pleasing to see but create a lasting legacy to the craftsman and for recipient. The sizes, widths, colors, thickness, and quality vary, and only a skilled slate craftsman truly knows the difference. Slate roofing is absolutely beautiful, it is a naturally occurring material and lasts much longer than any other traditional roofing. 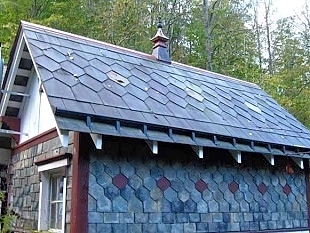 Acadian Shore Slate Roofing craftsman Bob Ruddy has been passionately involved in the roofing business for the past forty years. 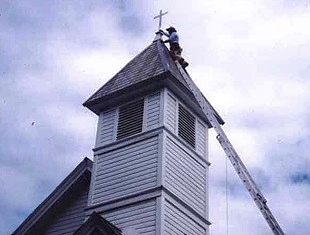 He is the sole proprietor of Acadian Shore, is an extraordinary craftsman and member of the Slate Roofing Contractors Association of North America. His company is also fully insured so you can be assured that a job contracted with Bob will be done right, on budget and will be absolutely timeless! 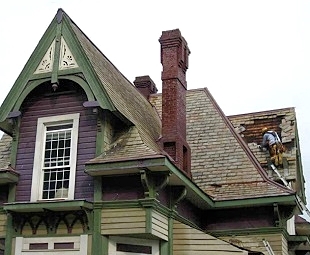 If you would like to learn more about installing a roof, whether slate, tile, copper, metal, or asphalt, or you are in need of roof material repair, be sure to hire a skilled professional. We cover all of Maine and we service any roof because we love what we do. Call Bob Ruddy at 207 537-5783 for a consultation about your roofing needs.